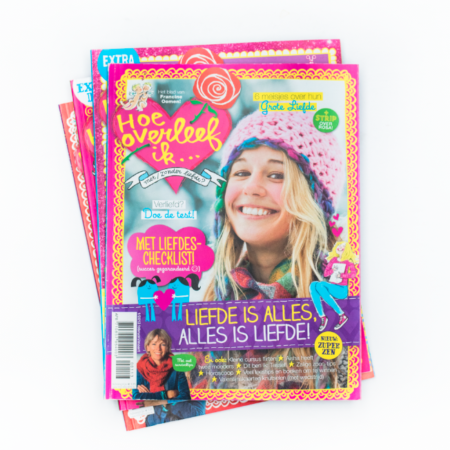 Founded bij children’s book writer Francine Oomen, Hoe overleef ik… started out as a book series. 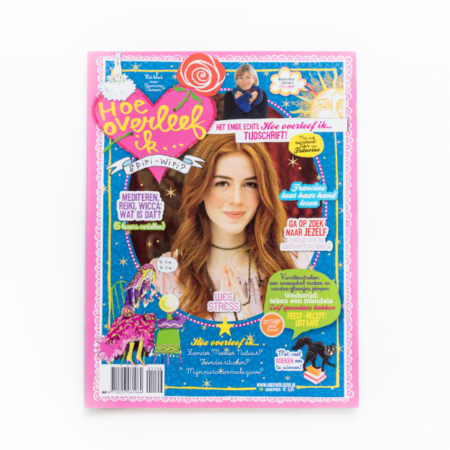 Being very popular with girls in the age group of 8-13 years the books were very successful and the brand created a magazine as well. We helped develop this magazine, designing a fresh new look. Using multiple layers creating depth and giving it a handmade look. 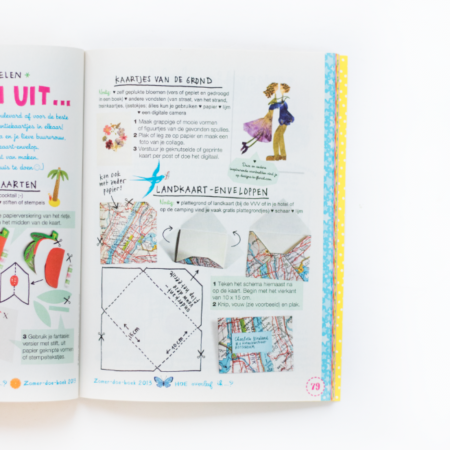 We made handdrawn frames to outline the cover image and used lots of color to make it attractive and fun for kids. 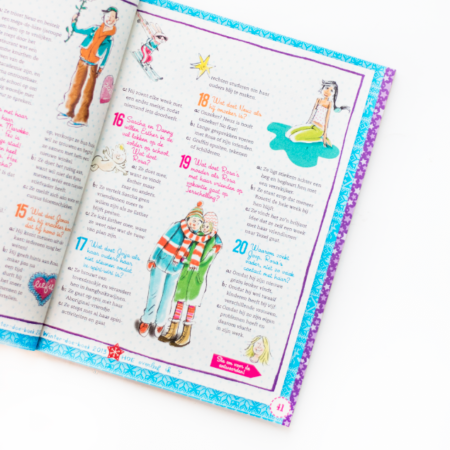 Inside we used the same elements as we did on the cover, making it a colorful, busy, layered and fun magazine to read. 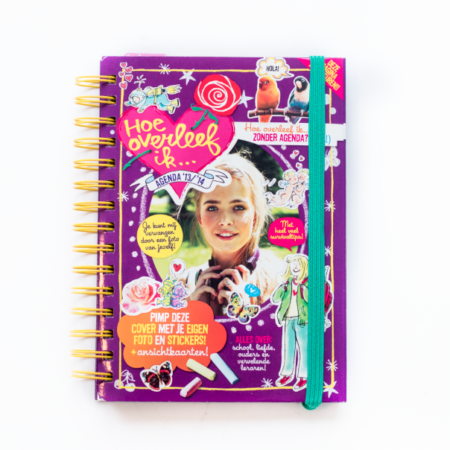 We also made many extensions of the brand such as diary’s, calendars, school supplies, pencil cases and toilet bags.